Here we provide resources to empower you to make informed decisions about your health and well being. Listen to Dawn Belden, MA, CCT as she discusses "What is Thermography" with Dr. Bunny Vreeland on Mercury Broadcasting's "Ask Dr. Bunny". Author and Lecturer Dr. Véronique Desaulniers discusses “Mammography Versus Thermography” on The Truth About Cancer. This episode explores the true history of chemotherapy and the pharmaceutical monopoly. 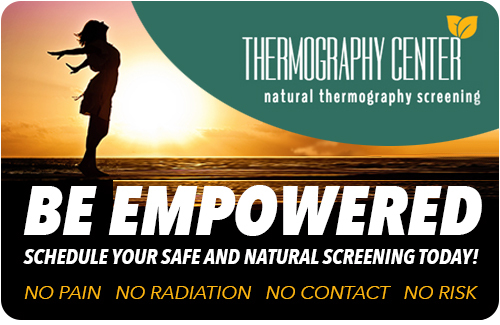 Thermography Center clients explain why they refuse to radiate their bodies and choose, instead, thermography.